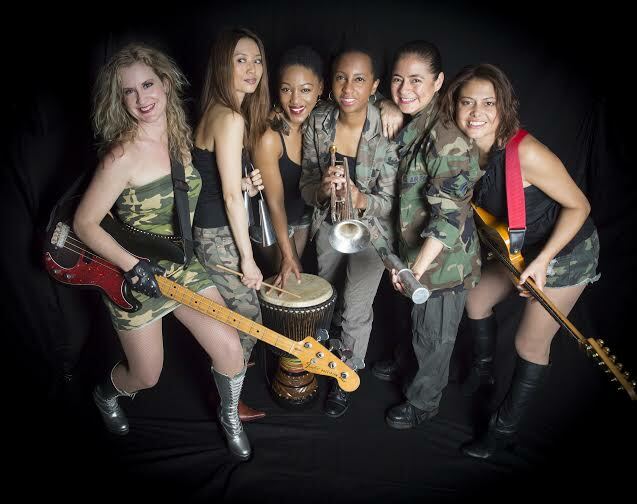 Dawn Drake & ZapOte will be taking the stage at Brooklyn Bowl on March 7 as part as Mo'Beats Monday. Raye 6 will be performing that evening as well. Doors are at 6PM and it will cost you $8. Full details at the end of our visit. Our curiosity led us to pay our customary hypothetical visit to Dawn Drake. This is what we learned. Dawn Drake (DD): I would play "Judgment Rumba" because it's new and it's Funky! (DD): I would play you Habana de Primera's "Pasaporte" from Cuba, where I studied percussion and gained a lot of my inspiration. (QNYC): … and browsed your books, what would you suggest I read? (DD): Probably the Artist's Way by Julia Cameron...I have read it over and over again. Then I would probably tell you to read Go Dog Go. (QNYC): … unrepentant booty shaker, line dancer or wall flower? (QNYC): … beach or mountains? (DD): Both at the same time! (QNYC): ... what's the most valuable piece of advice you've been given? (DD): My Brazilian percussion teacher told me once not to listen too much to the opinions and advice of anyone. You must ask the moon for help and then follow your heart. My thanks to Dawn for letting me "drop by"!